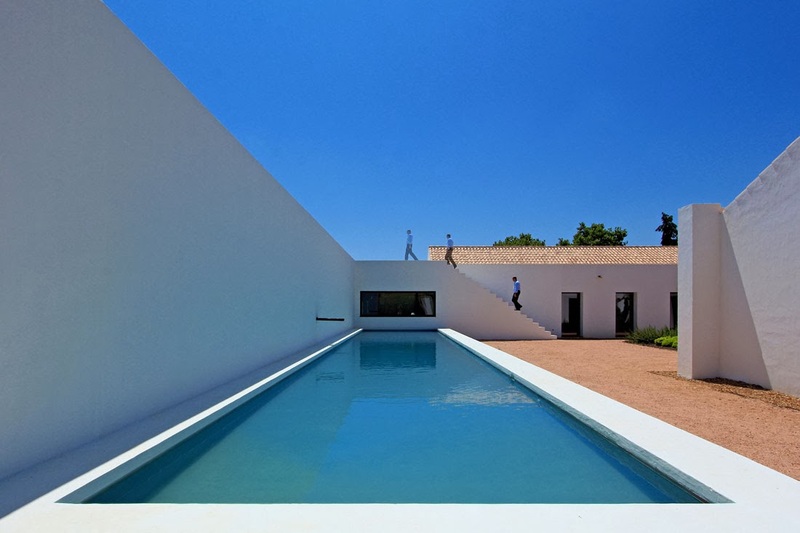 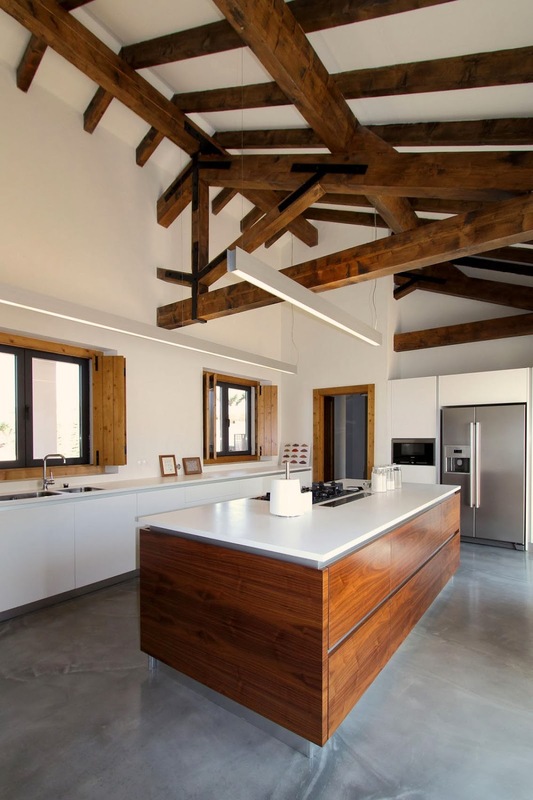 House in Vila Boim is an agricultural property designed by Lisbon based architectural office Intergaup. 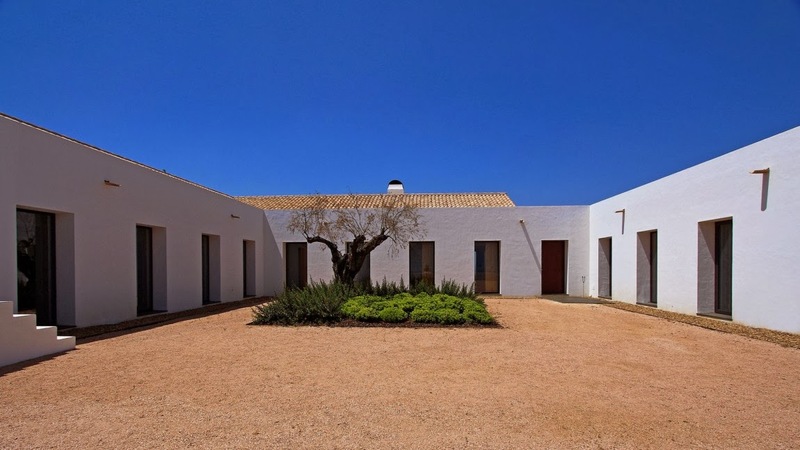 Based on simplicity and its harmonious relation with the surrounding landscape, the ‘U’ shaped house is located in the region of Vila Boim in Elvas, Alto Alentejo, Alentejo, Portugal. 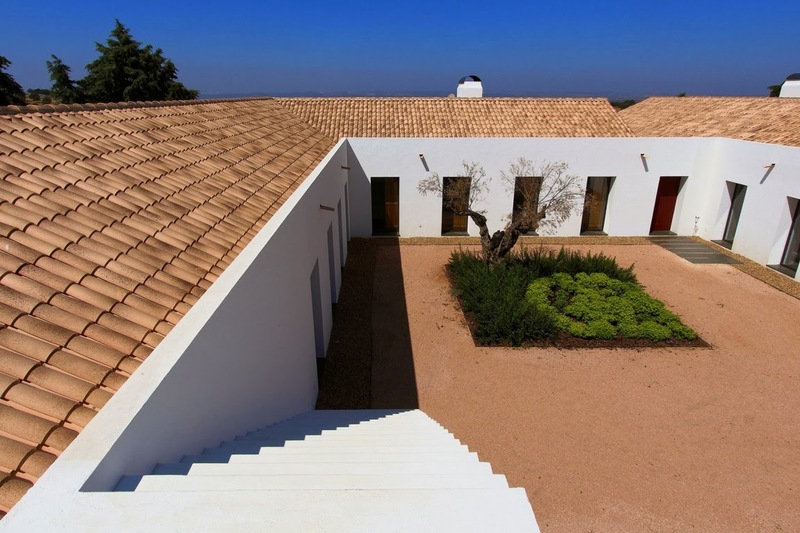 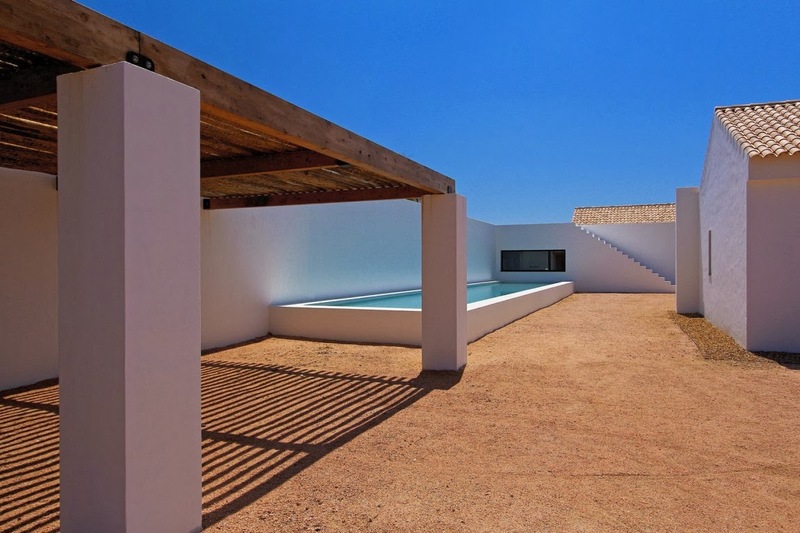 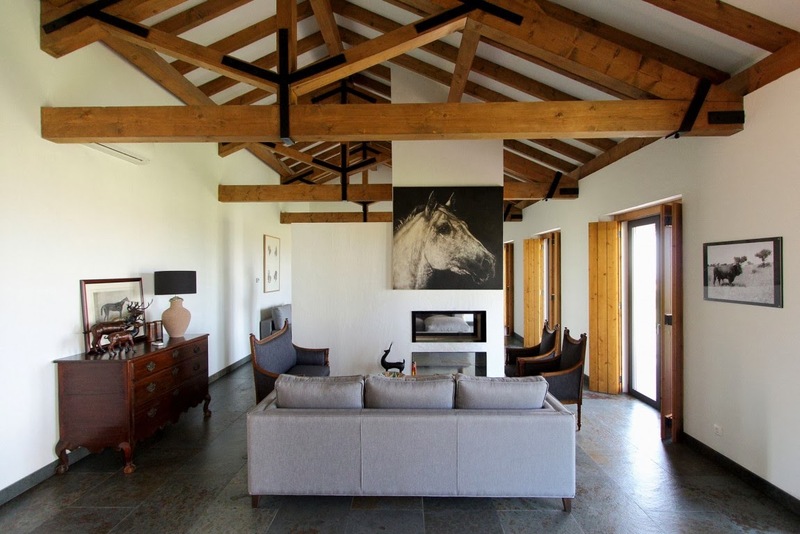 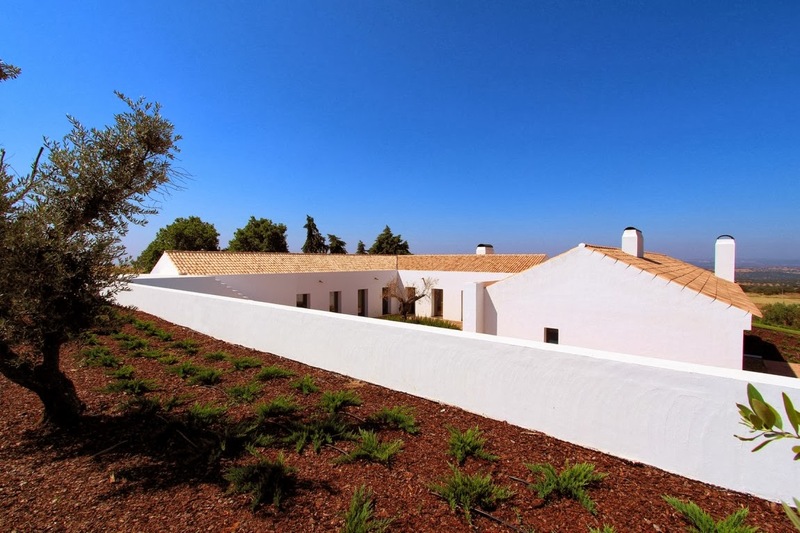 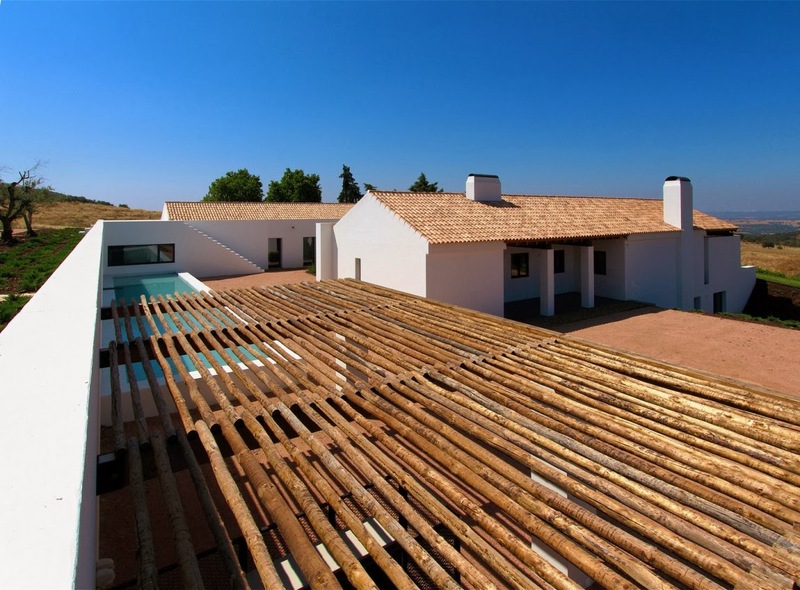 “The house is located in an agricultural property with 50ha in Vila Boim, Alentejo. 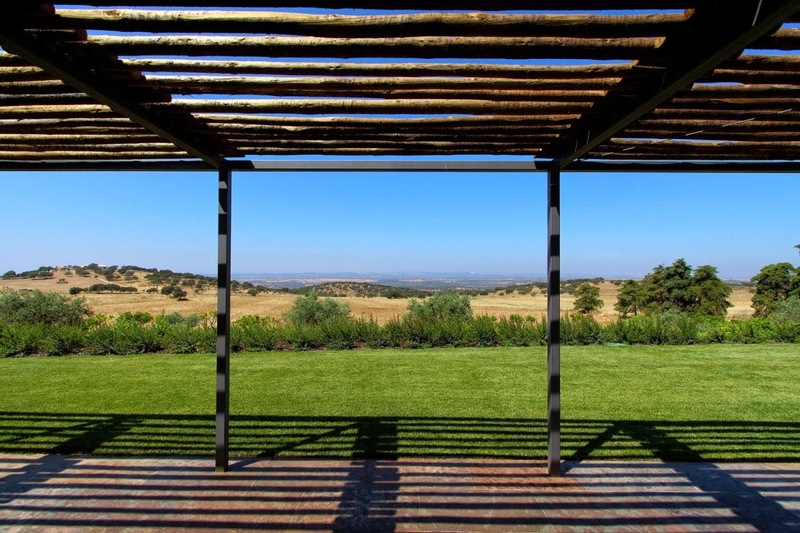 Alentejo’s landscape is primarily composed by soft rolling hills and plains, with cork oaks and olive trees, or the occasional vine. 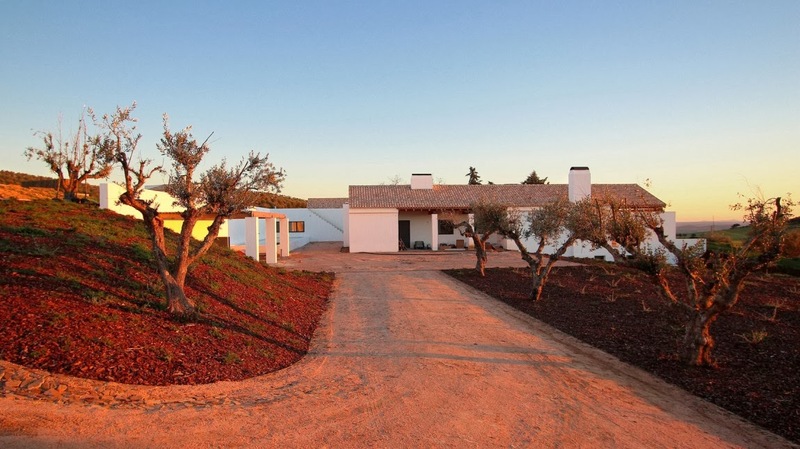 Northern Alentejo’s agriculture is mostly livestock-based as typified by cows, sheep, and pigs. 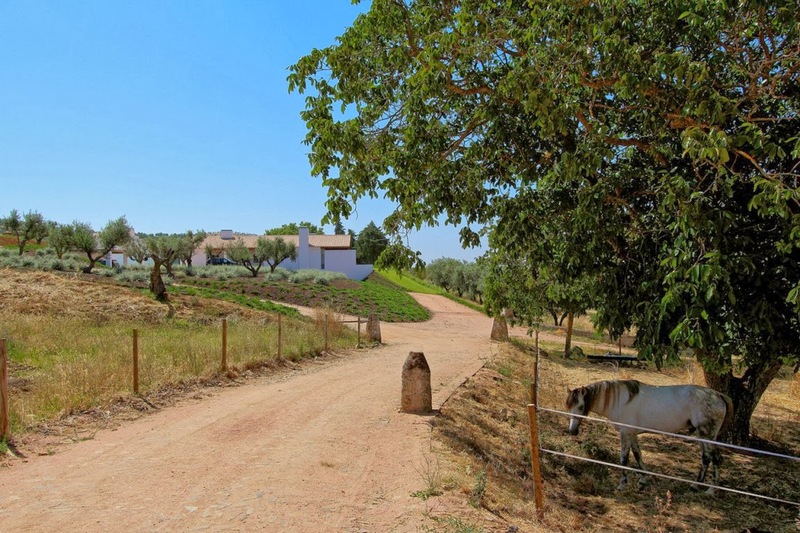 To the south the agriculture is mostly arable. 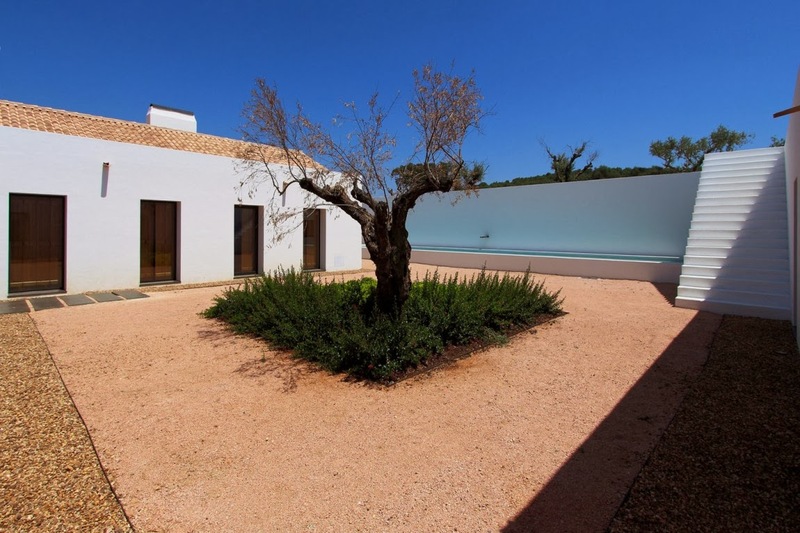 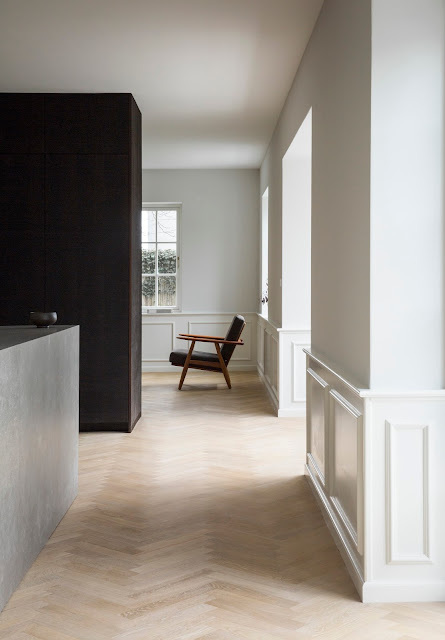 The brief was simple: – A weekend house where throughout the summer and winter, the family could enjoy the beauty of this vast natural landscape. 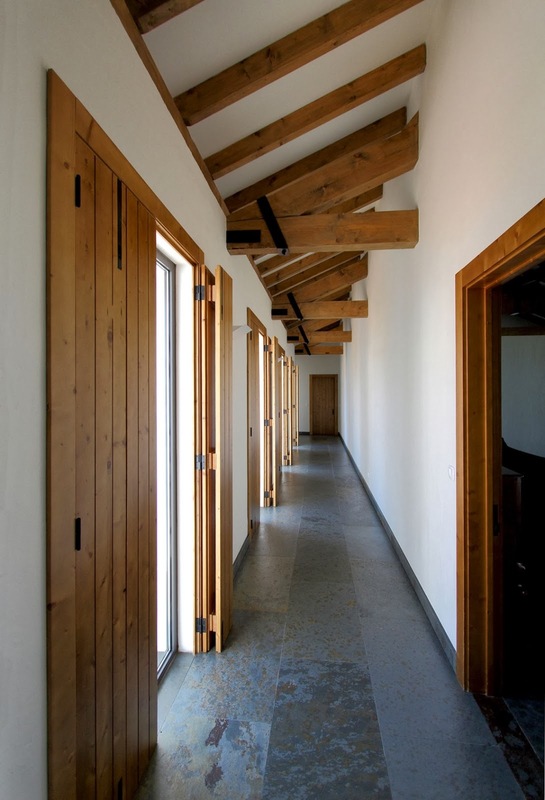 The main house has only one floor in a “U” shape. 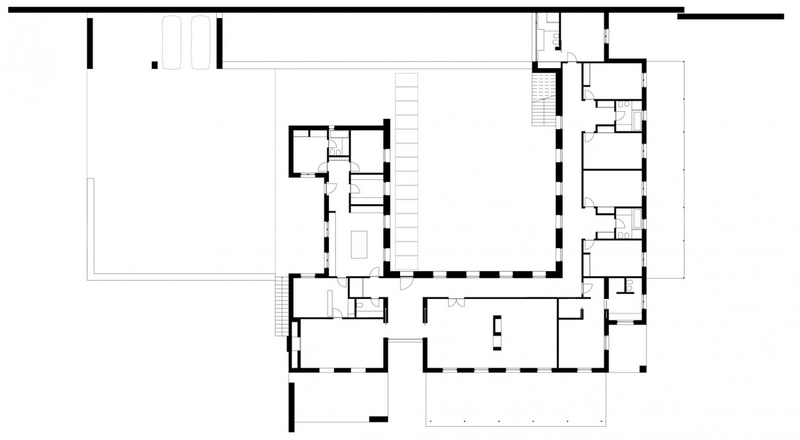 The U has its back facing against the slope, creating an inner courtyard. 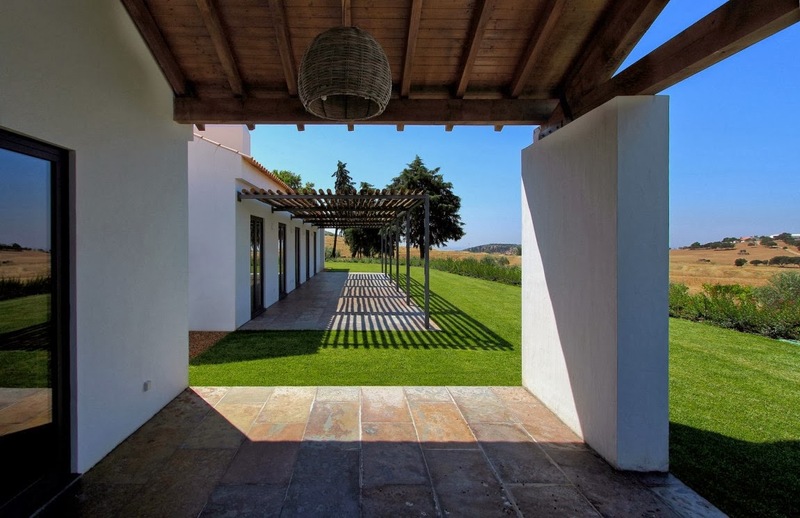 This way we are able to create a protected space that makes this initial promenade more personal and comfortable. 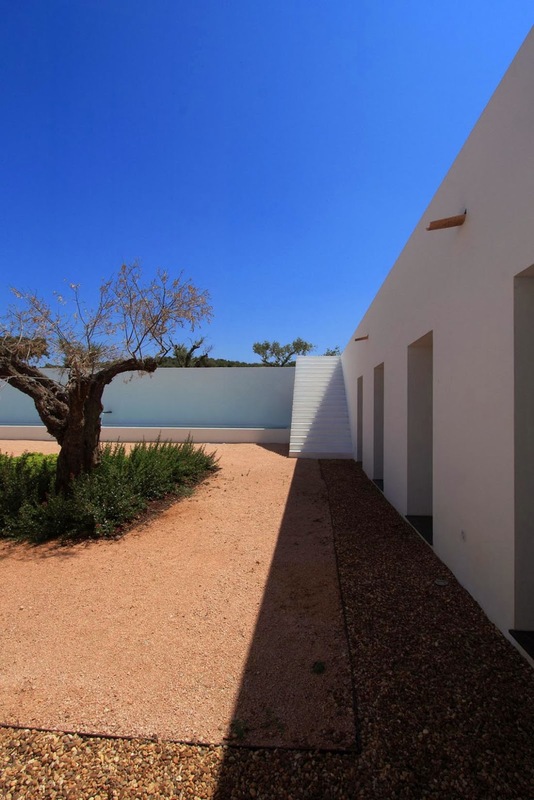 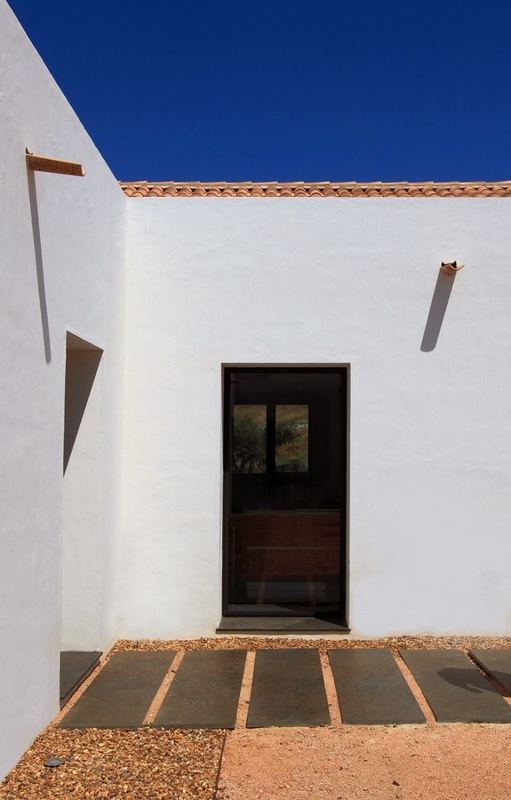 This courtyard that we call “pátio” shows a subtle drawing, marked by the spans inserted in a regular grid, a central flowerbed and a water tank flat against the retaining wall that goes all along the entrance path. 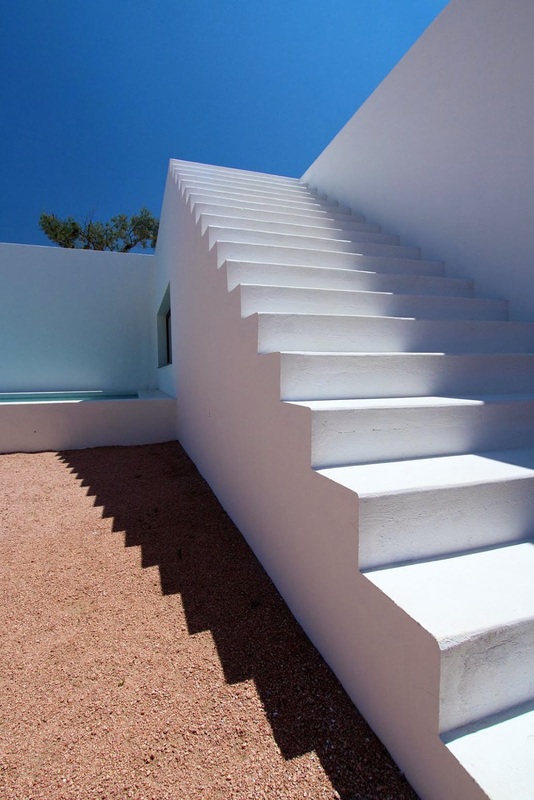 An outside staircase allows the connection to the top of the terrain and to the housekeepers’ house. 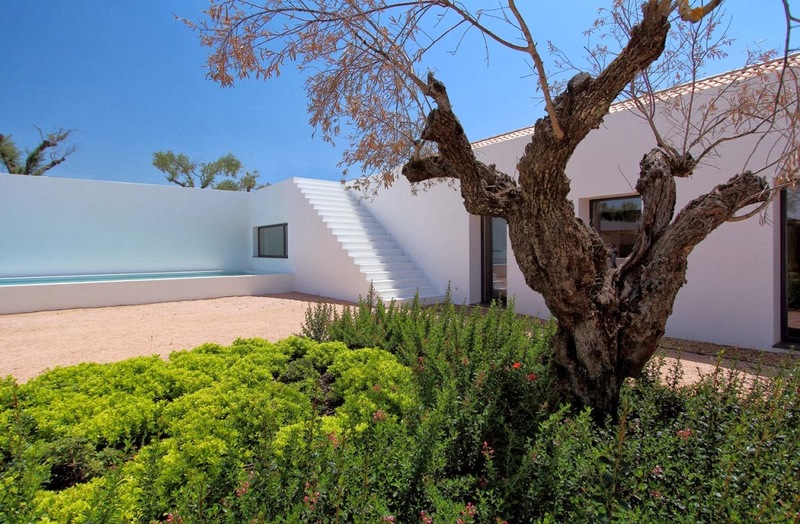 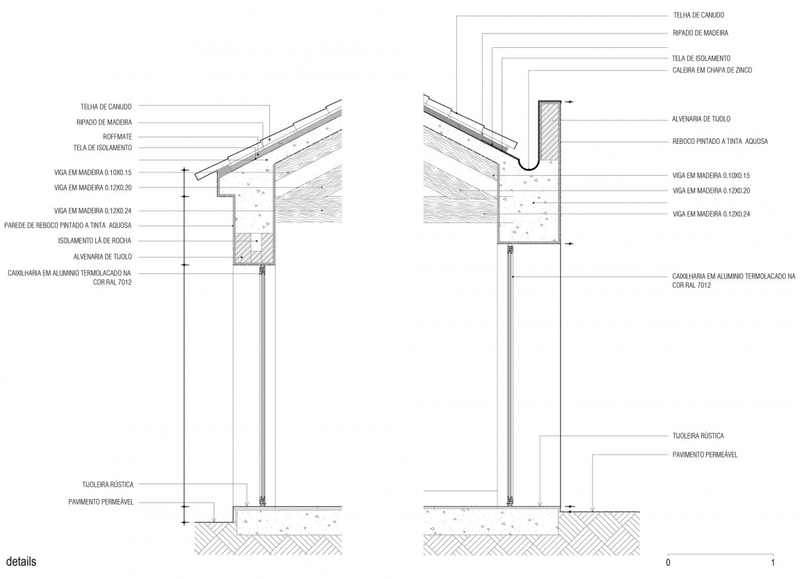 The three volumes of the “U” house are constituted by the different functions of the house. 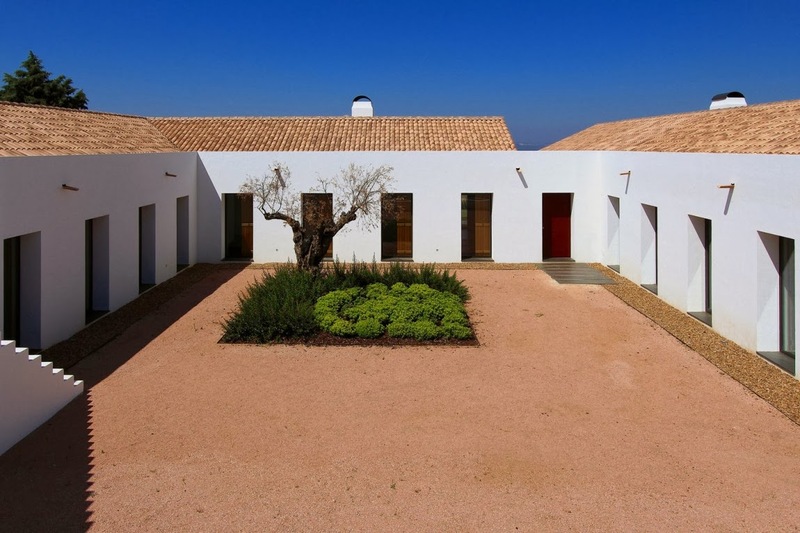 In the center, facing the west and overlooking an overwhelming landscape, the social areas, entrance hall, living room and dining room. 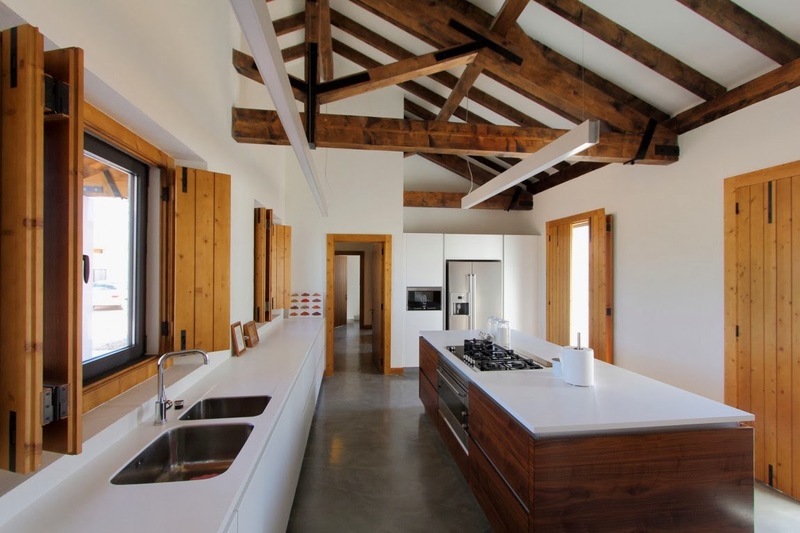 In the north side, the service area with kitchen, a small dining room and technical areas. 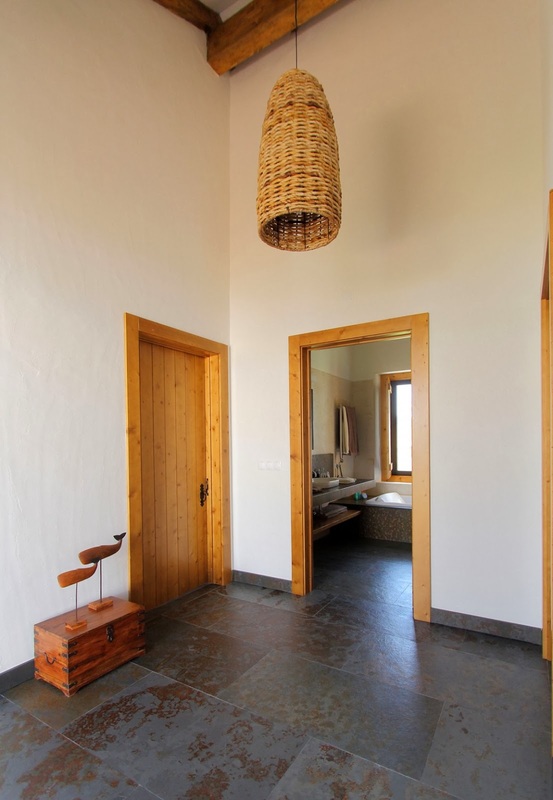 To south the private parts of the house, an area with four bedrooms.